Each year it seems there is a special feeling in the air come the first day of February. For some, it could be the promise that the colder weather may soon come to a close, or a looming spring break trip just weeks away. But for many, it’s the warmness of the upcoming holiday: Valentine’s Day. Valentine’s Day has been celebrated for centuries. It is recorded that Americans have been sending one another Valentine’s Day cards since as early as the 18th century – a tradition that has withstood the ages and is still practiced today! A tradition this long standing has obviously resulted in A LOT of cards. In fact, in 2017 alone the National Retail Federation estimated that 190 million cards would be exchanged amongst couples. While there is something to be said about holding traditions, we believe that this year it’s time for a change. When it comes to gift giving, what’s most important is the amount of thought one puts in to the gift. Luckily, Appleton Trophy makes Valentine’s Day gift giving easy for you! Nothing says “those three little words” like a custom made, personalized gift. You may be surprised to know that Appleton sells much more than, well, trophies. In fact, our product portfolio spans across over 30 categories. To narrow down your search, we have picked out our top picks for the perfect, personalized Valentine’s Day gift for your special someone. After cards, jewelry may be one of the most popular gift items purchased for the holiday. Appleton Trophy has a large selection of jewelry, suitable for any loved one you may be shopping for. 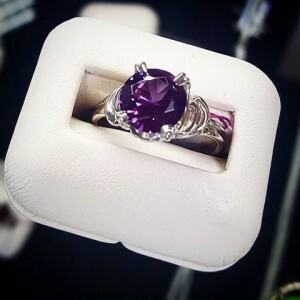 Featured here is a one of a kind ring, adorned with a dark purple stone and a silver ring band. 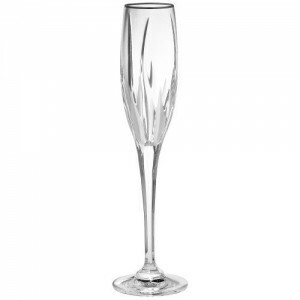 Propose a toast to your relationship with custom made glassware! 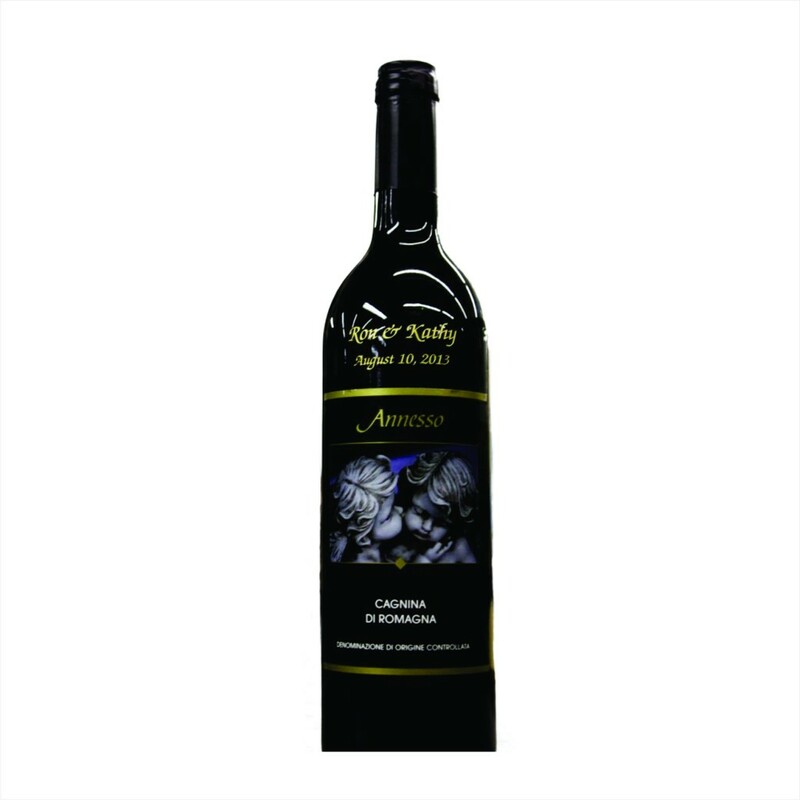 Whether you’re enjoying something on the rocks, a glass of wine, champagne, or a mug of a Wisconsin brewed favorite, we have an item for you to make that moment truly special. Featured above is a Mikasa Flame D’Amore Flute, crafted with the finest crystal to create moments that truly dazzle. 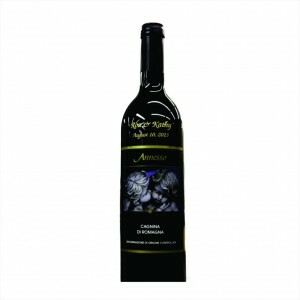 What goes better with personalized wine or champagne glasses than an individualized bottle of wine or champagne? Simply decide on the message you want to “cheers” to this holiday, and we’ll take care of the rest! Except for picking out your formal attire… We’ll leave that to you and your personal expertise. 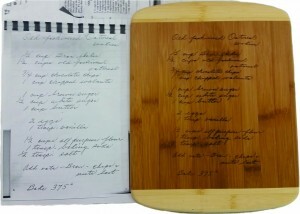 The “foodie” in your life will be thrilled to receive a personalized cutting board, featuring their favorite recipe, engraved into a beautiful, finished wood. Both thoughtful and practical, your special someone will never be left to search for a “hard to find” recipe card or tattered sheet of paper again. The gift that keeps on giving, a handy recipe also means the increased likelihood of more home cooked meals and less take out. Now that’s something we all can celebrate! 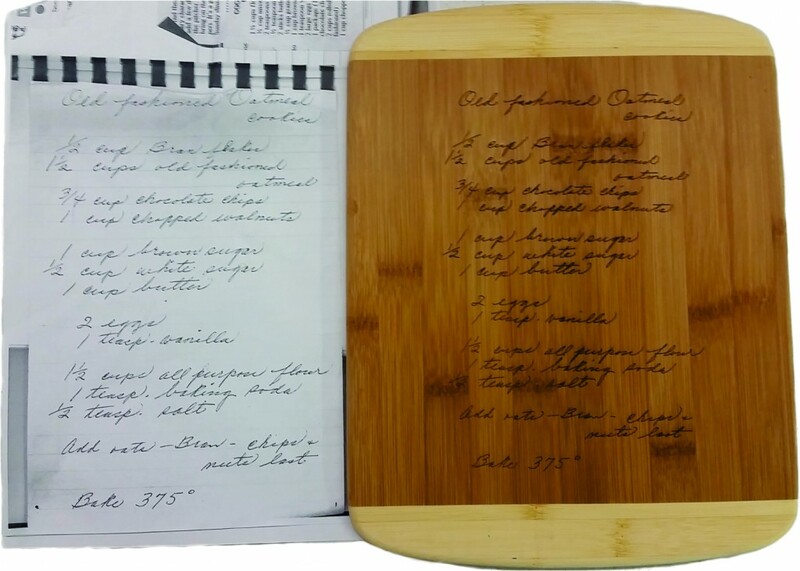 If engraved isn’t your valentine’s personal style, or you have a handwritten family recipe to be specially remembered, be sure to also check out the Actual Handwritten Cutting Board. No matter the item that you choose, a personalized gift is sure to warm the heart of your Valentine this year! If interested in hearing more about any of the above products, get in touch! Call us at 920-739-3569, or stop in to meet us in person. We are open Monday through Friday from 8 a.m. to 5:30 p.m., Saturdays from 9 a.m. to noon, and closed on Sundays.